If you are anything like me, you love traveling, seeing new places and exploring the world. Just the idea of being tied down to one place for work makes you shiver, right? Nowadays, all you need to have an office is a laptop, wifi and maybe a smartphone. Working remotely is more and more popular and available, no wonder that there is such a big community of digital nomads. There are many amazing spaces you can work and spend your time in. But how do you choose the right fit for yourself? Let’s chat with a few successful digital nomads, who have mastered the lifestyle. I got the opportunity to chat and pick the brains of three successful digital nomads. They shared their insights about this way of working and their preferred working spaces. 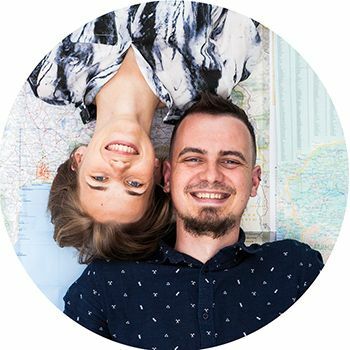 Anna and Matt are people behind the curtain of an independent travel brand – hostelgeeks.com. Together with their team they collect the finest hostels and share it on their website by awarding 5 Star Hostels all over the world. So, for traveling nomads like you and me, they do all the hard work that you could find the best accommodations in town with only one click. They shared that when they worked from Oxotel hostel in Chiang Mai, Thailand, after they finished working they would invite someone to join them for a nice dinner of “Pad Thai”. They do also have super detailed hostel guides for many places like best hostels in Chiang Mai. Although they love to work from the best hostels around the world, it’s important to say that most of the hostels are not made for working. So they stay in a super hostel and sometimes go to a coffee shop nearby to work. But the loveliest thing about this type of workspace is that it allows you to change the working environment. As Anna and Matt says it keeps them creative and it helps to change perspectives. That’s why they will never stop working from 5 Star Hostels. The combination of the guests, the staff, and the vibes let you discover the place as a newer (from the guests perspective), like a local (from the staff vibes) as an explorer (due to the vibes). Dipak has been a digital nomad for the last 18 months and he has a remote role in Leedfeeder a Finnish startup, one of the fastest growing SAAS companies around at the moment. His normal day starts at around 7:30 am. After the short meditation and breakfast, he starts his work. Dipak loves working in a co-working space. And as he mentioned his main requirement is the high-speed internet, but co-working spaces are more than that. It is a modern space with all the necessary amenities to work comfortably. He goes in details describing his favorite CoWorkingC space in his hometown Las Palmas. It has ergonomic chairs, high-speed internet, inclusive surfboard hire and access to a multitude of events taking place around the city that serve as a great opportunity to meet other fellow digital nomads. Despite all of the great things these spaces have, he would enjoy it more if they had greenery or plants. It helps in creating a more inviting and welcoming space, not to mention the positive impact they can have on health, such as relieving stress and helping filter the air. Until this becomes a reality Dipak enjoys short walks to get some fresh air during his lunch breaks whilst listening to podcasts on topics ranging from digital marketing and finances to personal development. And comes back to work in a co-working space relatively created for remote workers. Our last guest Vaida is a freelance photographer based in Sydney. She specializes in a hospitality industry and she mainly works with restaurants. Meaning that her photos are used for social media, websites, menu boards, and food delivery apps. She is also a social media manager/coordinator for a couple of brands. Besides that she has an established travel blog. When your passion and work blend together, you simply choose to work in the environment that you love – cafe. She finds the spark of inspiration in restaurants where she starts her day with a photo shoot at around 10 am. After 2 or 3 photo shoots, she enjoys lunch at one of the restaurants that she photographed and then works at home before she goes to sleep. Usually she spends her Mondays and Fridays editing photos and planning new projects at the cafes. She jokes that her number one reason why she chooses cafes is a good coffee. It’s cozy and it smells good, I like the buzz around me. But the most important thing is that there are no distractions like at home. She also loves that her work is very dynamic and she’s grateful to have the flexibility to choose her working hours and locations. Among her favorite cafes, she mentioned few at Bondi Beach: Le Paris, Good One, Gertrude & Alice Cafe.